This is a blog, website and circle all about celebrating what it means to be an an authentic, empowered, on fire mama. Hence the "ME" in Mom-ME. ME stands for Mothers Empowered, which to me means that we live fully, richly, abundantly, and that we revel in the ordinary and extra ordinary moments. 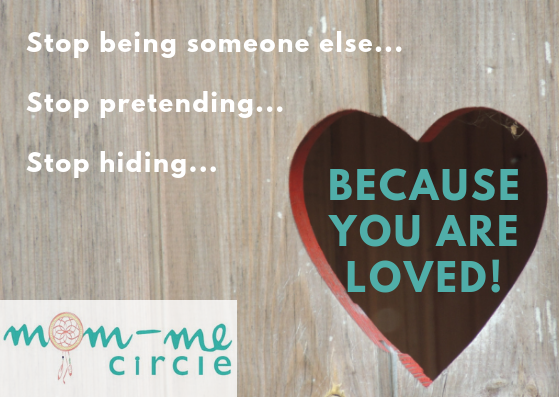 It is my hope that being apart of the Mom-ME community gives you permission to be your true self and calls your inner child out to play. I believe we must know who we are to live joyful, juicy, happy lives. If we share our stories we not only get to know ourselves better, but we have telepathic companions for the journey. My own journey is full of fear, pain, love, shame, wonder, ecstasy, luck, daring, and MANY beautiful imperfections. I am so grateful to you that you are traveling along this road called motherhood by my side so that we can share our trip ups, discoveries and hacks. It can be difficult to learn how to notice how our body, minds, and emotions react to stress. Knowing how to release that stress takes practice. So let’s practice! Also, I want to hear what YOUR stress management techniques are! And ones that don’t work for you! Leave a comment below! To learn more and schedule a Dreamcatcher Session with Isabelle, visit: http://www.mom-mecircle.com/contact. This month’s theme is acceptance. It can be difficult to accept certain parts of our lives. We probably wish the messes, laundry, chores, and lack of sleep would change. What if I told you that acceptance will give you freedom? Today, I’m sharing the parts of my life that I accept. Once I accepted my own reality, I’ve been able to take steps toward change and negotiate some aspects of daily life with my husband, my kids, and myself. Now, THAT is freedom. How can I have more confidence as a Mom? Embrace the following statement… You don’t have to be a PERFECT mother to be a confident mother. Building confidence as a mother requires time, so be kind to yourself as build your confidence. In this video, I discuss how you can get past societal barriers to reach confidence and how much time you should dedicate to a parenting strategy before switching things up. By managing other parts of our lives, you can continue on in the direction of your dreams! After learning about the 4 Ds for time management last week, let's explore some of the other items in our lives that need to be managed so our time can work for us. Do you find yourself hoping for Spring when it’s the dead of winter? Or perhaps you’re waiting for whichever season is your favorite. Motherhood also has seasons and it’s important to understand how to trust the season you’re in rather than trying to force yourself into another season or desperately waiting for your current season to be over. In this Mom-ME Moment, I share some of my own struggles that I experienced during the seasons of my motherhood journey. Join me as I talk about how you can learn to trust your season. We can be our own biggest critics. Why do we self-sabotage ourselves by hiding behind our fake selves? It's ok to stop pretending and be yourself. Here are some ways you might be self-sabotaging and how to overcome it. To learn more and to schedule a Dreamcatcher Session with Belle, visit: http://www.mom-mecircle.com/contact. Hands are more than just functional in caring for our loved ones; they are an energy map of our consciousness and health. Each area of the hand corresponds to a certain area of the body and to different emotions and behaviors. By curling, crossing, stretching, and touching the fingers and palms, we can effectively talk to the body and mind. The position the hand takes is called a "mudra" and is a technique for giving clear messages to the mind-body energy system. The mudra used will stimulate that desired energy, and there are over 100 mudras to choose from. Mudras can take anywhere from one minute to a few hours and be done sitting or standing. This mudra is very comforting and holds you in your heart center while reminder ourselves of our connection with the earth. It allows us to feel physically grounded and provide a peaceful moment in the now. 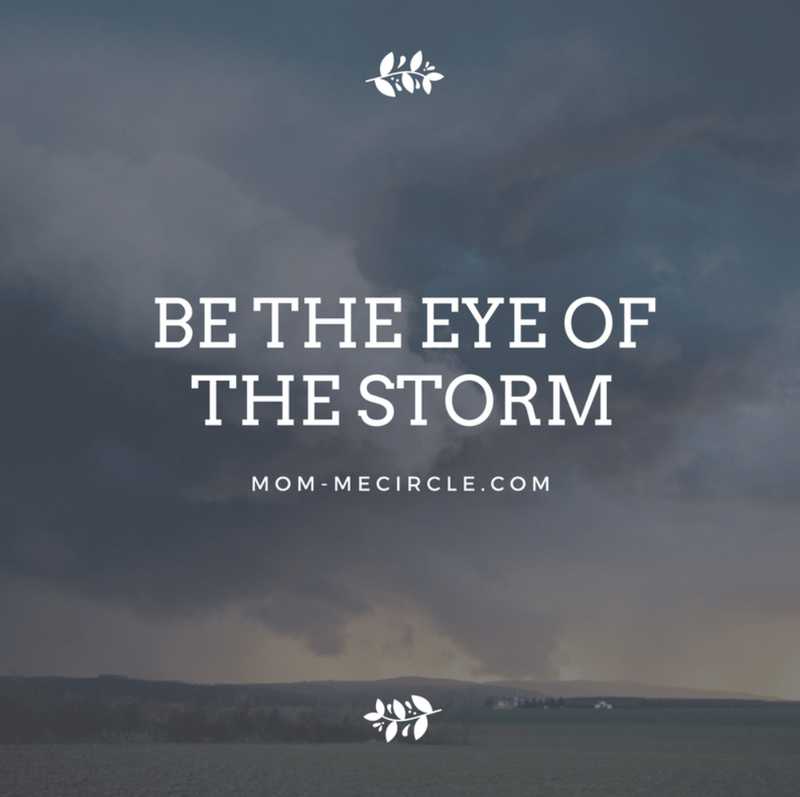 You can find yourself in the center of the storm of life. Just as letters are combined in a multitude of ways to form different words, so can the fingers build an array of mudras. Below you will find two of my favorite mudras. 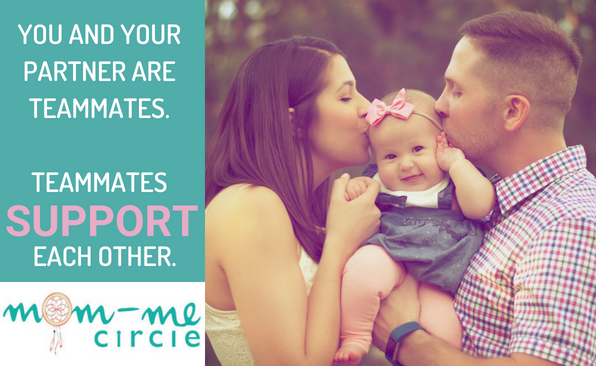 Let me know if you have any questions at Mom-MECircle.com/contact. Place your thumb and fore finger together and place the back of your hand in your knee. This can be done with one hand or both while sitting on the ground or in a chair. Close your eyes if you like. Take some deep breathes. This mudra helps us feel centered, especially near our belly. Place you right hand over your heart and your left hand on the ground next to you. Take deep breathes. Feel the rise and fall of your chest with each breath. When is the last time you felt really well supported? In this Mom-ME Moment, I share my experience from when my husband went to medical school, and my natural caring self took over to support him. Then the roles were flipped and I needed support from him. We made it through and you can too! I deeply value balance in my life. The balance of relaxation, achievements, commitments to my home, spending time with my kids, and investing in my own self-care is very important to me. It’s so important that I created the Balanced Mama Planner to help plan our days with balance in mind using concepts from Yin and Yang. The Yin and Yang symbolize balance. We should strive to find balance as much as possible, and that includes planning our day to be balanced. Your body may resonate with Yin or Yang depending on the circumstance, or it may resonate with both. In our bodies, we can identify our harder attributes and softer attributes, then invite the opposite into those areas to help create balance within ourselves. I love Dr. Christiane Northup’s take on this concept of balance. In her analogy, sperm are masculine, and the egg is feminine. Think about it! Sperm are the masculine side of balance. They are competitive, driven by survival, moving quickly to get to the destination. For them, to win is to swim faster than the rest. Eggs are the feminine side. The egg is calm and relaxed as it sits and waits to receive. These are not related to gender at all. The masculine principles do not only apply to men, and the feminine principles do not only apply to women. Everyone can encompass these masculine and feminine qualities. When we intentionally invite both of these concepts into our lives as mothers, we can choose intentionally how we want to be with our kids. Our mothering requires us to embrace the masculine and the feminine. Click here to receive your free Balanced Mama Planner.